May 2017, Not long ago I saw someone using ftp, a protocol that is used as long as I can remember to move files, 25 years or so. We started talking about the funny little Fetch (see below), that used to be there, running from the server with the files to the server that was supposed to get them. Just after that I started working on a presentation for my team and since the stuff I needed to tell was a little boring (numbers, they normally don’t like that) I was looking for something to lighten up the story. And what do you do in these circumstances (well at least I do)? Yep, you look on the internet for a funny looking cat, there are plenty. A Tech presentation isn’t complete without a cat on the slides nowadays. This made me think. In the old days, when internet was not so commonly used, I remember a lot of dogs. Fetch, the ftp dog, when I needed to upload a new version of a website. 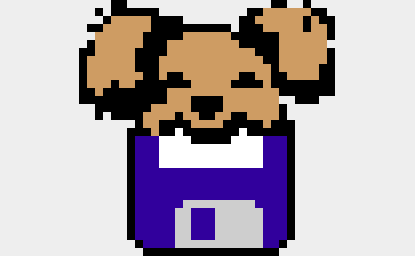 And Rover, part of the worksuite Microsoft Bob. A little animation that explained you how Windows was working, since they couldn’t get their UX right. And Lycos, one of the first search engines on the internet, also a dog. What happened? 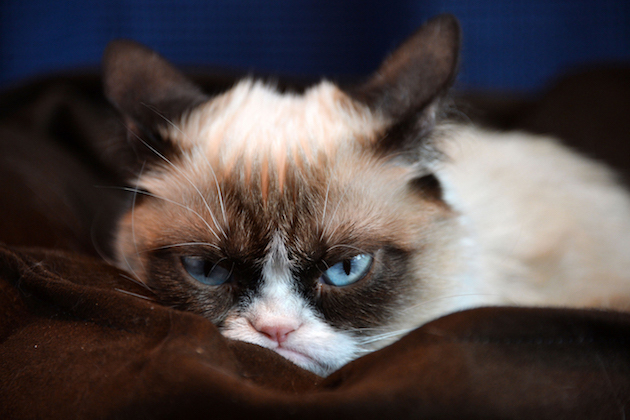 Did cats replace dogs in the Tech World? Today not only presentations contain cats, also in softwarelogos we find cats. The Github logo is a cat, same for GNUzilla, Icecat, Scratch and many more! Cats in the IT-world are all over the place now. Why? I wasn’t able to find a good explanation for that, other than as people we just like cats in general. I read some statistics and there are 2 mln videos with cats on you tube, which are viewed 12.000 times on average, the highest average of all categories. Apparently as humans we love to look at cats. And a cat being a practical and cute pet. A perfect combination for a techie, since a cat happily stays home alone as long as you don’t forget to feed it once and a while. Handy when you have a busy job. Maybe as IT people we used to be in love with dogs, but we grew up and started loving cats instead? My husbands pointed out that already from the beginning the Apple OS X versions had cat-like names (Cheetah, Puma, Jaguar, Panther, Tiger, Leopard, Snow Leopard, Lion, Mountain Lion). Is it the growing Apple influence that we have changed our minds? Or maybe the cat popularity is just a hype that will pass by? Well, it is a mystery to me. I can’t remember any cat-like software logos or names from 20 years ago. Also I can’t remember cats being as popular on the internet as they are today. If you do, please put it in the comments section of Linkedin! I love to hear more thoughts on this subject.